A premium cleaner that's safe for all materials including suede, nubuck, vinyl, straw, canvas and carpet. It will also clean all leathers. 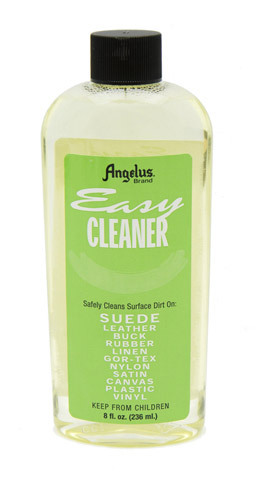 A popular, versatile cleaner strong enough to clean soles and sidewalls. Test on an unseen area prior to overall use.